Civil aviation secretary RN Choubey said they are working on a turnaround plan to make Air India competitive and are holding consultations with the finance ministry. Travelling abroad is going to become a little easier as the fifth Indian carrier is set to take Indian passengers abroad. Starting from October, GoAir is commencing its international operations. The airline has been given permission to start international operations from the new Kannur international airport to Dammam in Saudi Arabia, Civil aviation secretary RN Choubey told reporters. The secretary also spoke about a host of issues from the government's proposal to bail Air India out to sea plane operations. 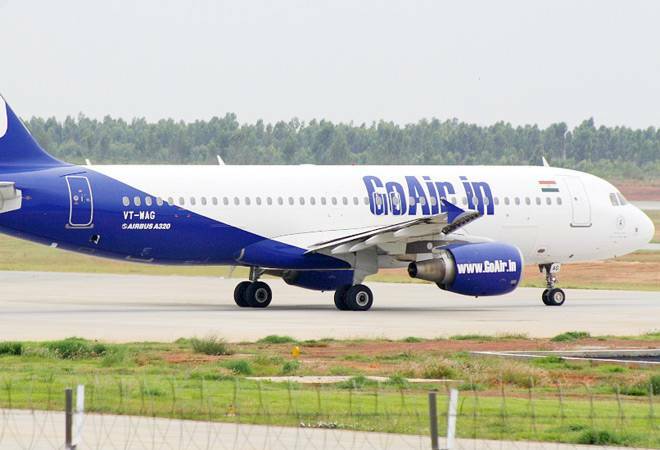 GoAir operates only domestic flights despite meeting the eligibility criteria for flying on international routes as it has a fleet of over 20 aircraft. In a written reply in parliament today, the government informed that the 'air operators' certificate' has been endorsed for GoAir to start international operations. At present, the Air India group, IndiGo, Jet Airways and SpiceJet fly abroad. The Air India group comprises Air India and its low-cost subsidiary Air India Express. Choubey also added that IndiGo will operate a flight from the city to Doha and Jet Airways will start a service from there to Abu Dhabi. The services are expected to start from the winter schedule, beginning October end, he further said. The secretary also talked about the bailout package that the government is considering for Air India. Choubey said they are working on a turnaround plan to make the airline competitive and are holding consultations with the finance ministry before taking a final view on the matter. Choubey said the appointment of renowned industrialists Kumar Mangalam Birla and YC Deveshwar as non-official independent directors of Air India would help the airline get "high quality" guidance. "We will also ensure sufficient delegation is given to the board to decide on operational matters," he added.